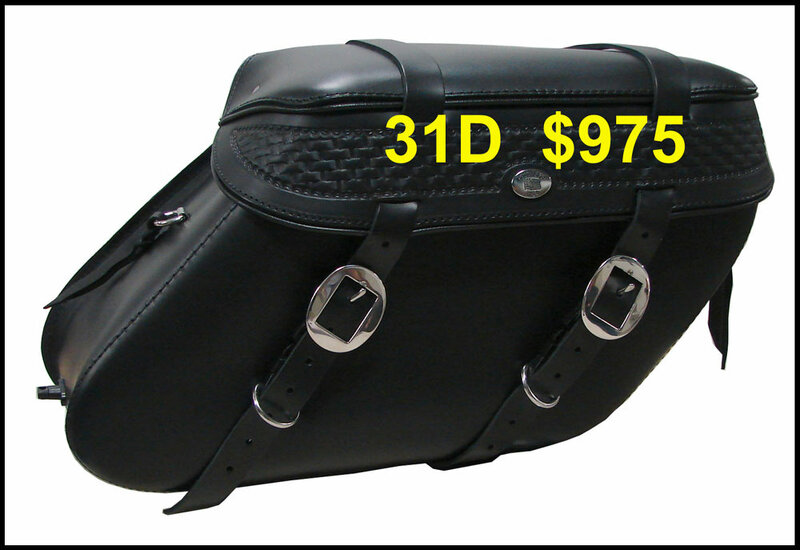 Boss Bag's #31 series saddlebags can be plain, or add studs, or even removable front/rear bags. 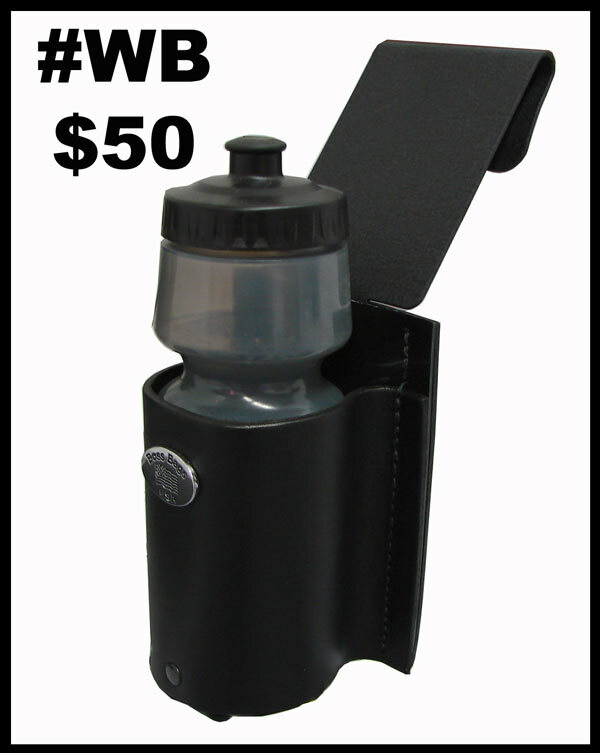 DIMENSIONS: 13" tall, 22" overall length, 14"across the lid. 8" thick at top. 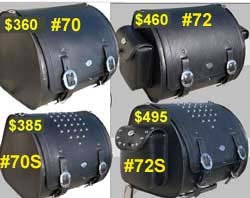 Lid opening size 6" by 12 3/4"
The 31 bags feature a unique latching system that makes it easy to quickly disconnect the saddlebags from the bike, while also leaving only two little chrome buttons on the bike. 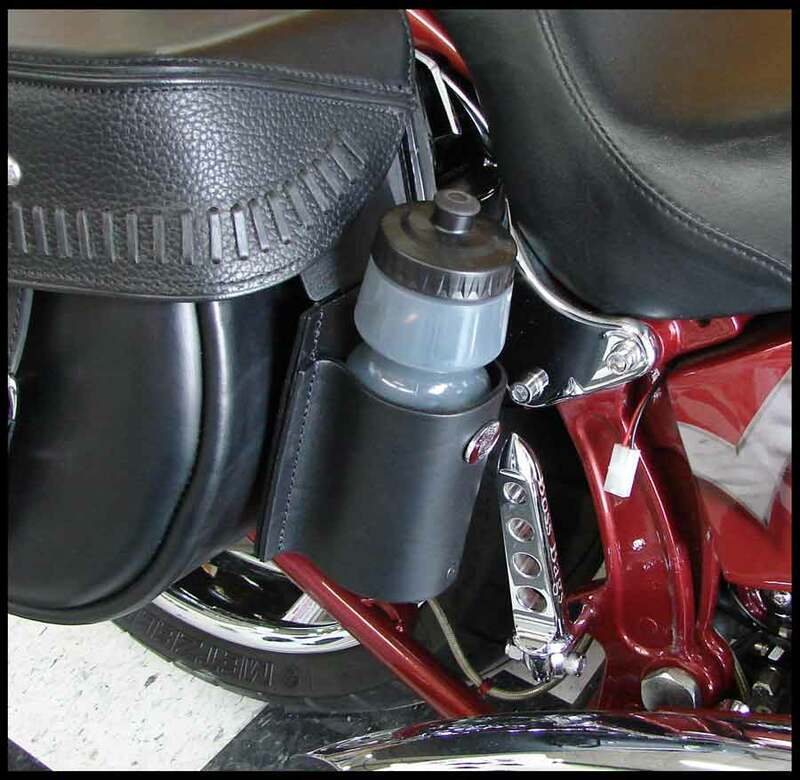 Your bike will be left clean, with no ugly brackets. 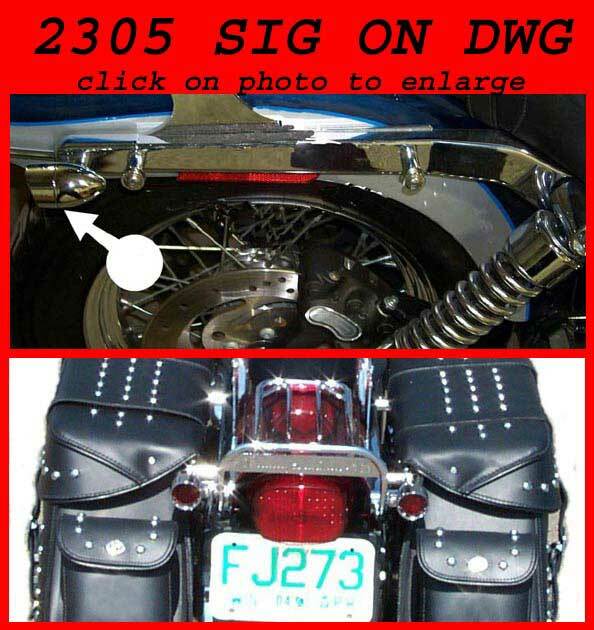 Click see a short movie of the #31 bag being taken off a dyna, and also the Panacea tailight option! 2000 & newer bikes only. 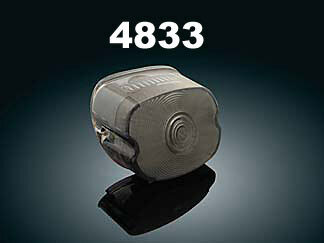 Kuryakyn Panacea Taillight, Turn signal combination. 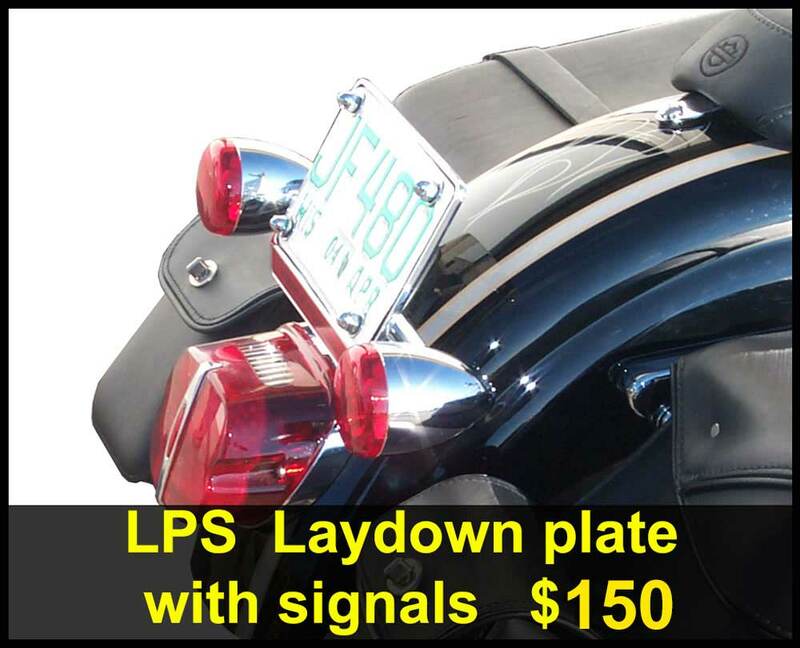 Boss Bags offers this as a turn signal option. Bright at nite but in direct sunlight these are not as bright as full signals. Simple installation. No load equalizer required. This option is for all Lowriders & Superglides. Comes preassembled. 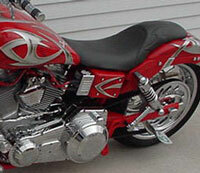 Buying it preassembled saves a lot of time on installation. Yellow lens are standard, red available on request. w/o bulbs (using your old turn signals). This option is only for 2001 and older models. Will require you to drill a small hole into your rear fender for routing the wires. 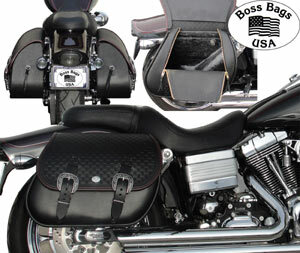 BOSS BAGS Trunk Bag for sissy bar/luggage rack. Invented thanks to customer demand! These trunk bags are huge! 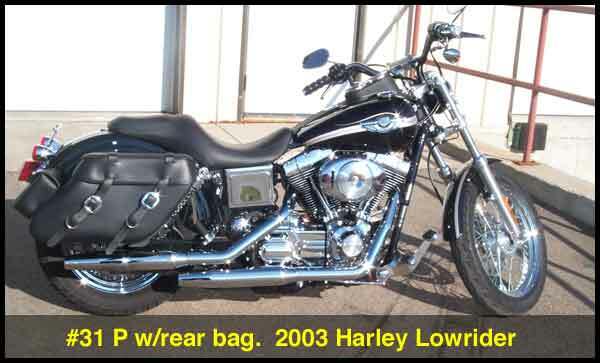 Straps your sissy bar and luggage rack. 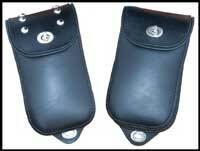 They are hand made with fully reinforced leather & will never sag. Lockable, comes with Master locks. 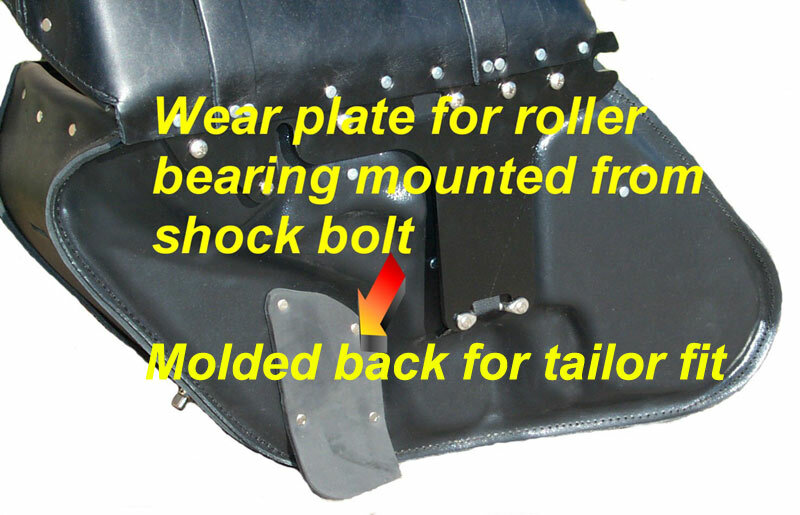 Coil Cover for twincam models! Chrome plated billet aluminum. Easy 2 minute installation. Fits over stock or screamin-eagle coils. 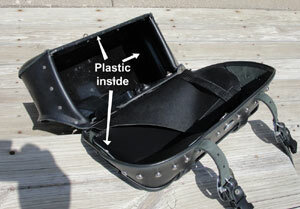 Click here to see windshield bags. 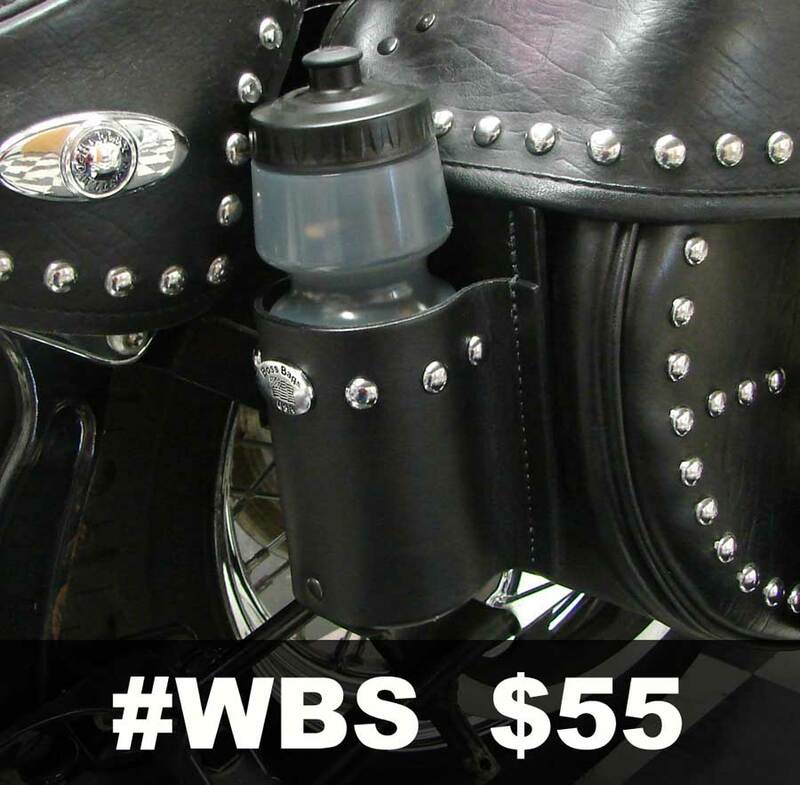 On those long rides in the summer, or those hot swap rallies, this water bottle can be your savior for thirst. A must have for hot days. clip can securely latch onto most things, and rubber tongs keep water bottle securely iin holder. Accessable even when you're driving. Also can be worn as a fanny-pack.